The Clark library has a strong collection of auction catalogs, shelved under the call number N8660, organized alphabetically by auction house and then by sale date. Catalogs in the library’s Offsite Storage facility can be requested by contacting the library at least two days in advance of a visit. Search the library online catalog to find a specific auction catalog by title, sale date, or sale code. Click the dropdown menu options under the Auction Sales tab to discover indexes (some electronic and some print) that can be used to find specific artists and works sold at different periods of time. Use the resources below to find specific auction catalogs and, in the case of the Getty Provenance Index, many other provenance-related resources as well. Full-text database of art sales catalogues for major American and European auction houses, published from 1600 to 1900. Catalogues can be searched by Lugt number, date, place of sale, provenance, content, auction house, and existing copies. The Getty Provenance Index® Databases, part of the Project for the Study of Collecting and Provenance (PSCP) at the Getty Research Institute, contain indexed transcriptions of material from auction catalogs and archival inventories of western European works of art, and nearly 1,000,000 records that cover the period from the late 16th century to the early 20th century. The website also includes materials on provenance research resources and on Holocaust-era research resources. Online union catalog of auction catalogues held by the Clark Art Institute and other research libraries in the United States and Canada. Searchable by date of sale, auction house, and catalogue title, as well as by collector's name. 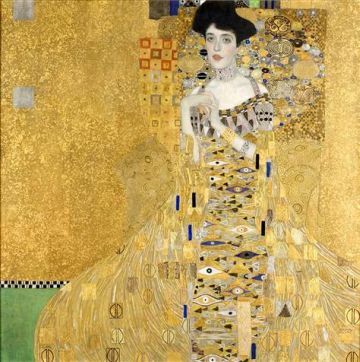 Gustav Klimt, Portrait of Adele Bloch-Bauer, 1907. Oil, silver, and gold on canvas. Looted by the Nazis in 1938 and restored to the Bloch-Bauer family in 2006. Neue Gallerie, acquisition made available in part through the generosity of the heirs of the Estates of Ferdinand and Adele Bloch-Bauer.